Electro-Voice R300 wireless mic system - Lapel features ClearScan™-, which finds the clearest channel available with the touch of one button! 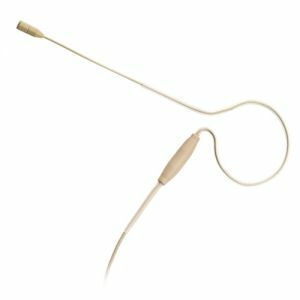 Electro-Voice R300 wireless mic system - Lapel features EZsync - which uses infrared technology to set the transmitter to the correct frequency, confirming operation in one automatic step! Unique features like One-Touch ClearScanTM and EZsyncTM make the R300 quicker and easier to set up and use than any other similarly priced wireless system, while its rack-mountable metal receiver, sturdy metal bodypack and handheld transmitters, and remote-mountable antennas are of a build and performance quality usually reserved for the highest-end professional products. This combination of value, professional features, and ruggedness make the R300 a perfect choice for a wide range of wireless applications, from live vocals and instruments to your sermon or special event. EZsyncTM uses infrared technology to set the transmitter to the correct frequency, confirming operation in one automatic step.